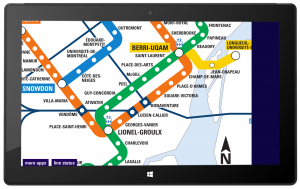 Our latest Windows app for the World’s great cities is the Montreal Metro Map and is available for Windows Phone and Windows 8, Windows 10 and Surface tablets. 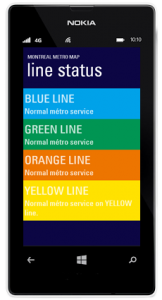 With service status indicators telling you how each line is performing and pinch and zoom map of the entire STM network. 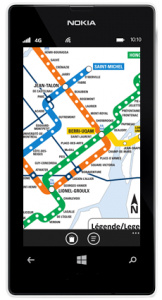 FACT: The Montreal Metro is Canada’s busiest subway system, and North America’s third busiest in total daily passenger usage, serving an average of 1,241,000 daily passengers per weekday. 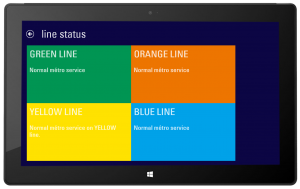 Have a look at all Windows Metro Maps here.